It’s the first of the month. For some it is pay day. Others it is when bills are due. And most will accidently still write January on one thing or another. Today is February 1st, it is 75 degrees out, it is my cousin’s birthday (Happy B-day Cuz! ), it is Wednesday, and time for a new Website of the Month feature. This month I will be highlighting recipes from Tasty Kitchen, a popular recipe sharing site started by the Queen of blog, The Pioneer Woman. I actually discovered this recipe through the Tasty Kitchen Blog (which highlights TK member recipes). I knew that it was a *must make* since it had outrageous reviews. I made a mental bookmark of this recipe when I saw it and thought I would make it *one day*. Well since I am striving to make this a more ‘homemade-but-not-too-1950’s/Martha-Stewart/extreme-all-natural-hippie-kind-of-year’ I thought this was THE perfect time to make an amazing homemade pizza sauce. So, on my quest to eat more homemade, I made this sauce. And I ate it. By licking the spoon. By licking it off my finger. And by eating it on pizza, of course. This sauce lived up to all the hype (which I am very happy about). It really had exceptional flavor, sweet but acidic, tomatoie but not chunky. 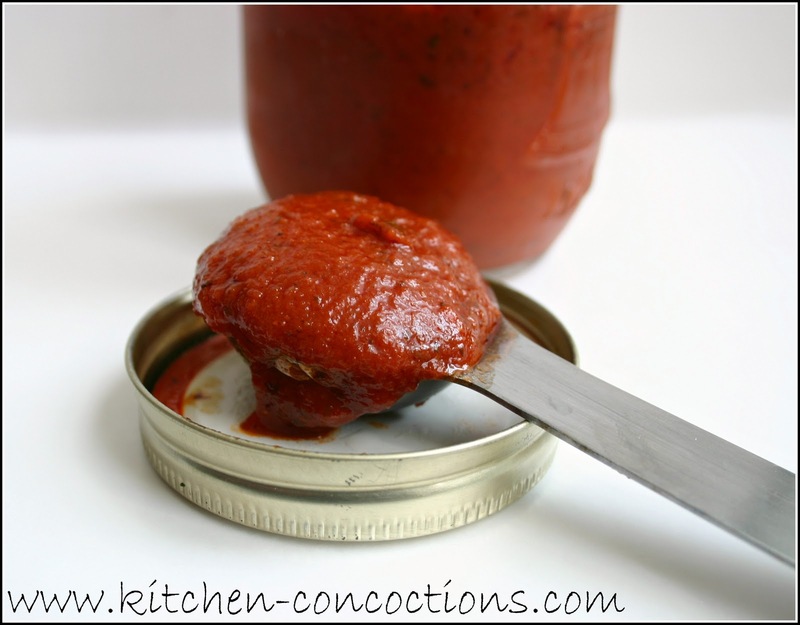 This will be my go to pizza sauce recipe from here on out. 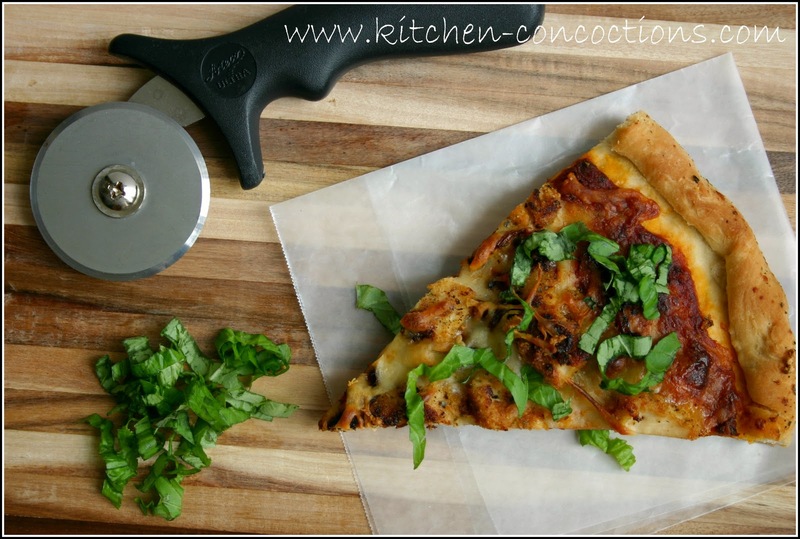 I actually doubled the recipe (because I had some tomato paste I needed to use up) which will make enough for about 4 pizzas, which means you can make 4 pizzas at one time, make 1 pizza a night for 4 days, or freeze the leftovers in ice cube trays for later. Place all ingredients in a small saucepan. Whisk together until well combined. Place over low heat and cook until heated through. Taste and adjust seasonings if necessary. Ok, I totally have to try this. 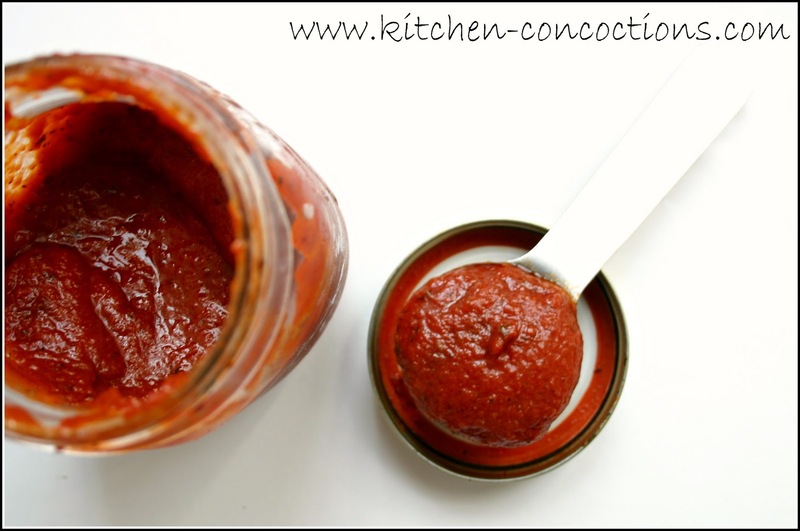 I have just been using whatever leftover marinara I have in the fridge when I make pizza, but every time, I say that I need to find a good pizza sauce recipe!